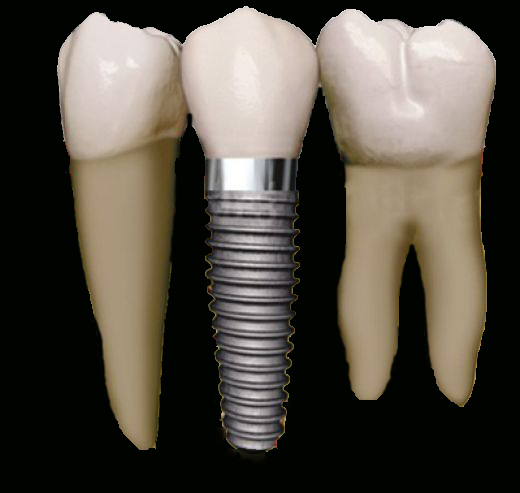 A dental implant functions as an artificial root to anchor a replacement tooth or teeth. A small titanium post is surgically implanted in the jawbone, and as part of the healing process it bonds with the bone. A metal abutment is connected to the implant, and then a crown, bridge or denture is attached to the abutment. The work is typically done in stages, often with separate prices for the implant surgery, the abutment placement and the replacement tooth or teeth.